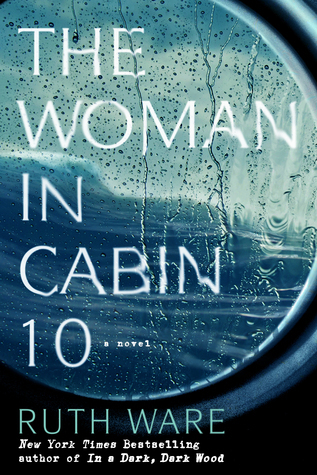 The Woman in Cabin 10 tells the story of Lo, a journalist, who has been given the opportunity to sail on the maiden voyage of a luxury cruise ship for a story. Several days before departure her house is broken in to while she’s sleeping, and she comes face to face with the burglar, who took her purse with many of her personal items, makeup, phone, etc., and hit her in the face with the door before leaving. Lo takes anxiety pills for panic attacks and this incident really shook her up. She also has a drinking problem. All that combined makes for little to no sleep and a ton of anxiety. Fast forward to the ship. This cruise is luxurious. As Lo is getting ready in her fancy gown, she realizes she forgot to buy new mascara as her other one was in her purse that got stolen. She goes next door to cabin 10, bangs on the door, and is abruptly met with a young, pretty, dark haired woman who hastily gives her mascara and insists Lo doesn’t return it. (First off, ew! You’re borrowing mascara from a stranger on a ship?!) The ship, while luxurious, is still small, and Lo finds herself panicking and drinking too much. There’s several other journalists, photographers, the owner of the ship and his cancer-stricken wife on board. An ex-boyfriend, also a journalist, is on the ship, and Lo finds herself accosted by Ben on her way back to her room. Sometime after they make amends, Lo has finally fallen asleep only to be awakened by a splash right next door in cabin 10! She looks out the veranda and sees a woman’s hand in the water and blood on the glass door of 10….. yet she’s told room 10 has been empty, as the guest suddenly had to cancel…did she drink one too many the night before? Was lack of sleep causing her to imagine things? But Lo know’s what she saw and heard and she will not stop digging for the sake of the woman she knows exists. With an unreliable narrator who has to take pills, has sleeping issues and a drinking problem, I thought I had the story figured out but I was all wrong. This was a super fast read that totally caught me off guard and I loved it! It really messes with your mind. Highly recommend for thriller lovers! A Proper Tea is a beautifully illustrated collection of recipes for tea parties, complete with beverages and food. It also has interesting history of tea, tea sets/dishes, and the designers of specific dish collections! descriptions of tea and how to serve them. I especially loved the illustrated story of how the Blue Willow design came to be. Recommend for any lover of tea! A mixed up coffee shop order that leads to a perfectly imperfect romance- CHECK. Aven has unique characters and story lines that are so detailed and engaging. Her books are the kind that just literally make your face hurt from smiling so much and your heart burst from all the romance. It’s so easy to get lost in Aven’s stories…even when I wasn’t reading, I felt myself drifting back to Brooks and Payton’s swoony romance with all the feels and I have to distinguish what’s fiction from reality! Her books are THAT good- you do not want to stop reading. It’s the perfect kind of romance book-ones that are actually believable and relatable but full of chemistry and great characters! I don’t know how Aven does it-literally every one of her books are filled with the right balance of love, friendship, family, perfect setting, entertaining and upsetting mishaps, and well-developed characters to the point where you feel like you’re right in the book. I received a copy of this novel from the author. Thank you!! What do you do when both kings love their country, to the point of taking drastic measures such as MURDER to keep their home the way it’s always been? “Broken Crowns” picks up where “Burning Kingdoms” left off- Morgan and her friends who escaped to the ground are realizing the horrors of two combating kingdoms and everyone is trying to plan how to remedy the situation. I really didn’t care for the second book, and I didn’t think I would ever finish this one-it was SO slow moving but the turning point happened when Basil and Morgan finally make it back to Interment from the ground and find Celeste…(no spoilers!) I thought Celeste’s plan to unite the two kingdoms was very brave and seemed exactly the kind of decision she would make! Although it took me some time to get really in to it, “Broken Crowns” is full of shockers and twists you don’t see coming. 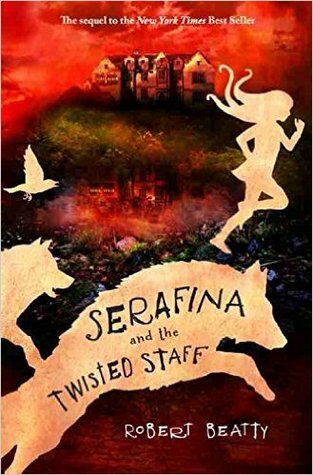 DeStefano created such imaginative worlds with impressive characters that really draw you in to the story. I felt it was the perfect wrap up to this trilogy.